Looking to get creative for the year ahead? We are delighted to confirm our first 1 day introductory level digital photography course of 2017, suited to beginners and those with only basic experience, taking place at Bond Street Studios, Dublin 8, on Saturday February 18th. The course will look at how, when and why to use the various manual settings on your DSLR – ISO, Aperture and Shutter Speed – but we don’t believe in all talk and no action, so we’ll swiftly be rolling up the sleeves and getting hands on cameras to practice what we’ve discussed, with our professional models in studio to help us out. We’ll also go over the basics of how to give your image a once over in Photoshop. The course day aims to give you the tools you need for getting more from your camera, whether it’s capturing great moments with family and friends, taking landscape shots while away on holidays or just learning to shoot your daily surroundings in a new way. 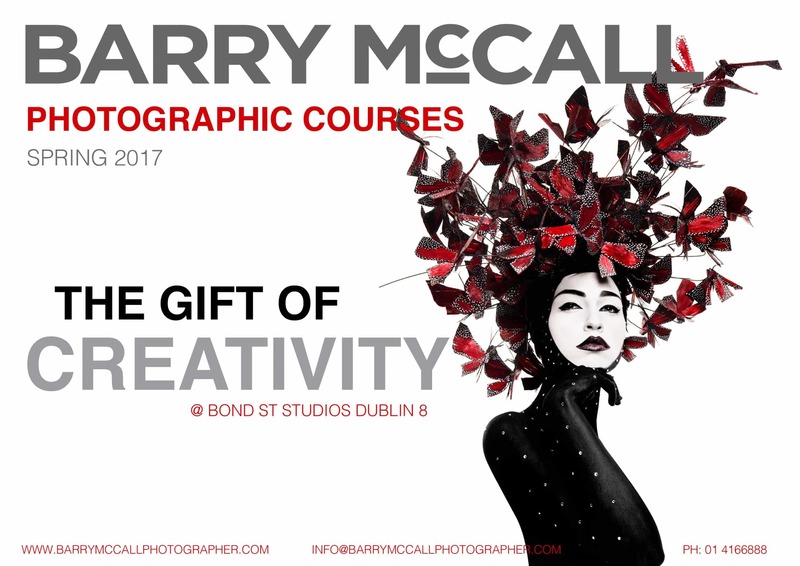 So if you’re interested in joining Barry for a day of photography, in a studio where we’ve shot the likes of Naomi Campbell, Michael Fassbender, Conor McGregor, Saoirse Ronan and Hozier, drop us a line now for more details and to book your spot. Places will be limited!